Register your littlelampcompany.com purchase here. Enter your registration details here to record your 2 year Warranty. Visit us here if you ever need to replace your lamp base. 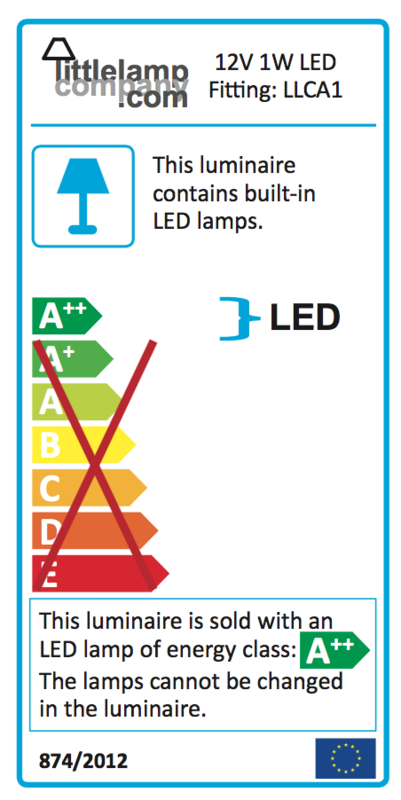 Our lamps are fitted with a non user replaceable LED. However when the time comes (20,000 hrs!) the complete base is replaceable. Our LEDs last for over 20,000hrs. That is 20 years of use if used 3 hours every night! As the LED lasts for years it is not designed to be accessed. But if the LED needs replacing here is how to replace the base. It is as easy as 1-2-3. Just follow our video. Downloads. Here are the instructions provided with our lamps. Click thumbnails to open and download. 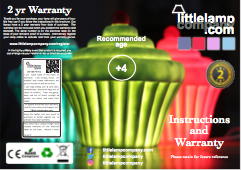 Our lamps are fully certified and safety tested. Safe, low power, and the adapter and LED run cool by design. Beautiful , Contemporary, Unique Design. littlelampcompany.com do not store any cookies or credit card information on our servers. littlelampcompany.com use 3rd party services for external stock inventory, and the web cart facilities of Shopify. Therefore for your ease of shopping experience only, Shopify servers store a cookie to identify when you return to this site in order to maintain your shopping cart selection. littlelampcompany.com also use 3rd party commercial payment providers such as PayPal, Mollie, and QuickPay, who may in turn store information relating to your transactions using those services, under their own policies. All services that we use are listed beneath for your convenience and reference if required.